Mosquitoes were wolf-packing me as I moved along the dikes of this one-time rice farm. I was paying the price for my adventure. Savannah National Wildlife Refuge in Georgia, is just a 25 minute drive from Tybee Island. I spent my mornings at this lush refuge, followed by lazy August afternoons at the beach, and then evenings exploring Savannah. If OFF had been 100% protective, this trip would have been perfect. We’ve posted dorsal images of Euptoieta Claudia. 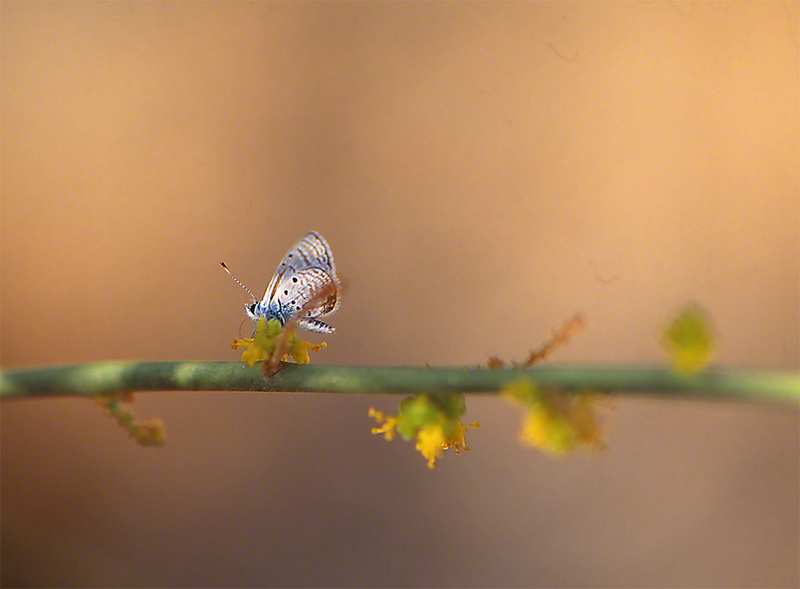 This shot offers a view of the ventral wing coloration and form. 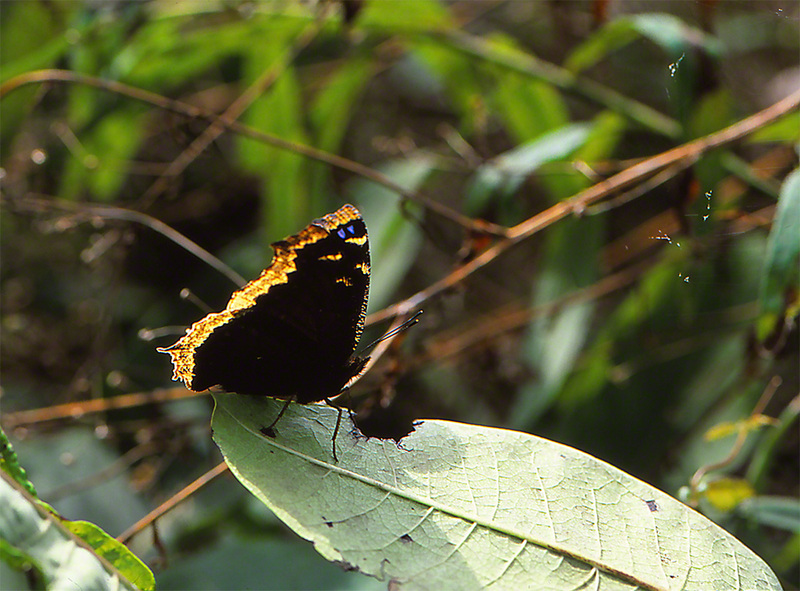 The seriousness of this butterfly’s focus on eating nectar is one of several reasons for concluding that it’s a female. The wildflower is likely a Verbena. Clarification from one of my readers would be greatly appreciated. Variegated Fritillaries favor the same habitat as do Gulf Fritillaries. 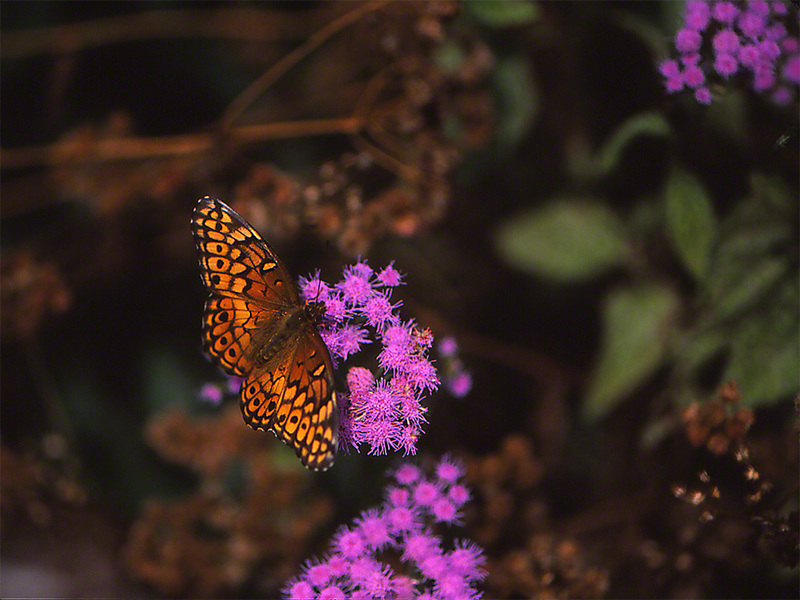 Both butterflies are strikingly beautiful; bejeweled, if you will. I was so busy moving with my camera from one Variegated Fritillary to an equally comely Gulf Fritillary that I only later realized that my shield against mosquitoe bites was partially successful. 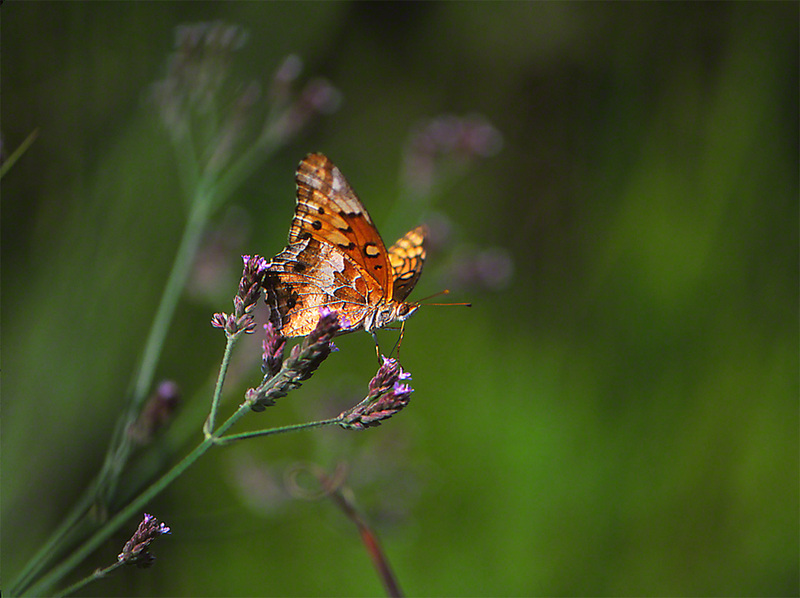 That’s what I love about Fritillary Butterflies. 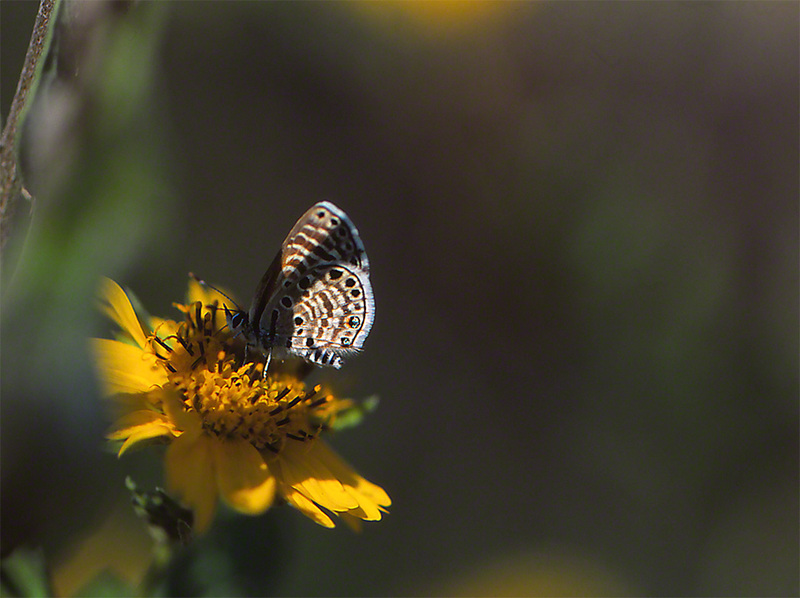 When the table is set with nectar-pumping wildflowers, these Brushfoots can be easily approached and photographed. They value the sweet nectar, and single-mindedly devour it. So find a fresh Fritillary, follow it to a nearby suitable bloom and follow our suggested Technique approach. It’s all worth it when eye-candy such as this butterfly is yours to enjoy and remember.